Located in Eskisehir (Tepebaşı), The Merlot Hotel is within a 5-minute drive of Kilic Lunapark and Espark Shopping Center. 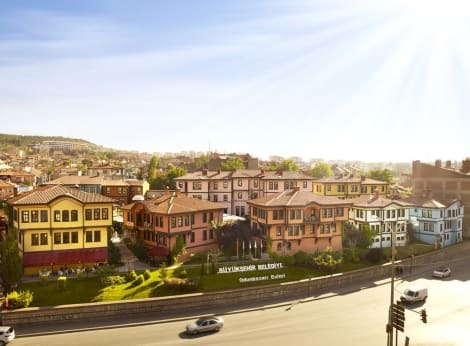 This 4-star hotel is 1.5 mi (2.4 km) from Esbay and 1.5 mi (2.5 km) from Eskisehir Cultural Center. Grab a bite at Nazende Restaurant, one of the hotel's 2 restaurants, or stay in and take advantage of the 24-hour room service. Snacks are also available at the coffee shop/café. Relax with your favorite drink at the bar/lounge or the poolside bar. A complimentary breakfast is included. Satisfy your appetite for lunch, dinner, or brunch at Pano, a restaurant which specializes in Turkish cuisine, or stay in and take advantage of the room service (during limited hours). A complimentary buffet breakfast is included. A stay at ibis Eskisehir places you in the heart of Eskisehir, within a 10-minute walk of Espark Shopping Center and Eskisehir Cultural Center. 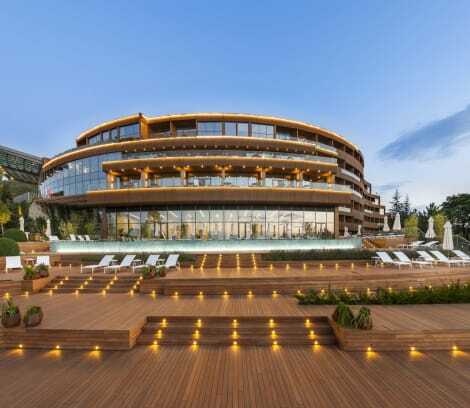 This hotel is 0.8 mi (1.3 km) from Kilic Lunapark and 1.1 mi (1.7 km) from Esbay. Make use of convenient amenities such as complimentary wireless Internet access, gift shops/newsstands, and a hair salon. Additional amenities at this hotel include a television in a common area and tour/ticket assistance. With a stay at Turunc Eskisehir Hotel in Eskisehir (Odunpazarı), you'll be within a 10-minute drive of Archeological Museum and Sazova Park. 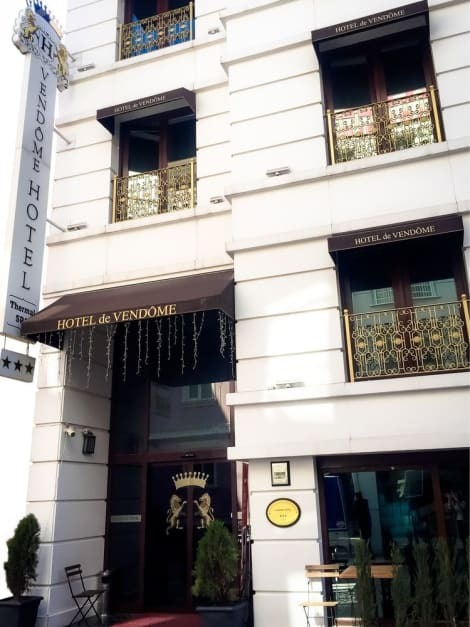 This hotel is 1.7 mi (2.8 km) from Historical Odunpazarı Mansions and 1.8 mi (2.9 km) from Eskisehir Ataturk Stadium. 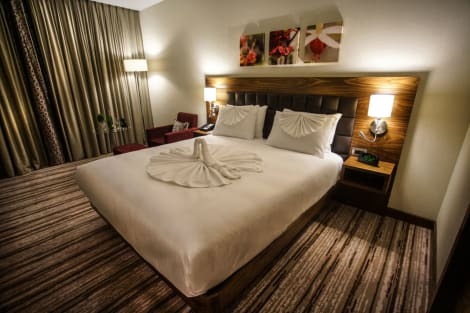 Make yourself at home in one of the 65 air-conditioned rooms featuring minibars (stocked with some free items) and LCD televisions. Complimentary wireless Internet access keeps you connected, and satellite programming is available for your entertainment. Private bathrooms with showers feature complimentary toiletries and hair dryers. Conveniences include phones, as well as safes and complimentary newspapers. 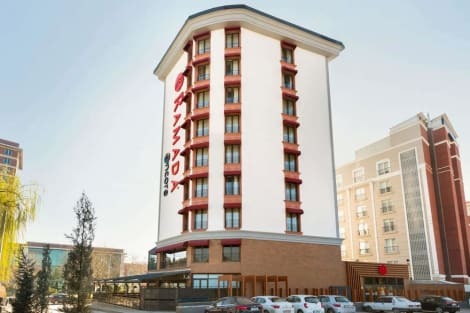 Located just 15 minutes from Eskisehir Air Base, the new Hilton Garden Inn Eskisehir hotel offers a fresh home base for visitors to the city. The hotel is near Eskisehir’s technology hub, offering easy access to Tepebasi city center, a short 5 minutes away. Guests will enjoy our proximity to shopping, recreational areas and landmarks. Spend a day exploring the historic Odunpazari district or take a stroll along the Porsuk River.Choose from a variety of stylish guest rooms with complimentary WiFi, a comfy bed and friendly service. Upgrade to a suite for extra space, a sofa bed and view of the city. Our hotel offers many adjoining rooms to accommodate families and large groups.We provide convenient amenities including our 24-hour fitness center, business center and evening room service. Dine at The Garden Grille, our all-day restaurant and enjoy breakfast, lunch or dinner in a casual setting. Planning a meeting or event? Our Eskisehir hotel offers flexible event space for up to 100 guests. lastminute.com has a fantastic range of hotels in Eskisehir, with everything from cheap hotels to luxurious five star accommodation available. We like to live up to our last minute name so remember you can book any one of our excellent Eskisehir hotels up until midnight and stay the same night.